10 Favorite Bay Windows on Pinterest and Why We Love them! 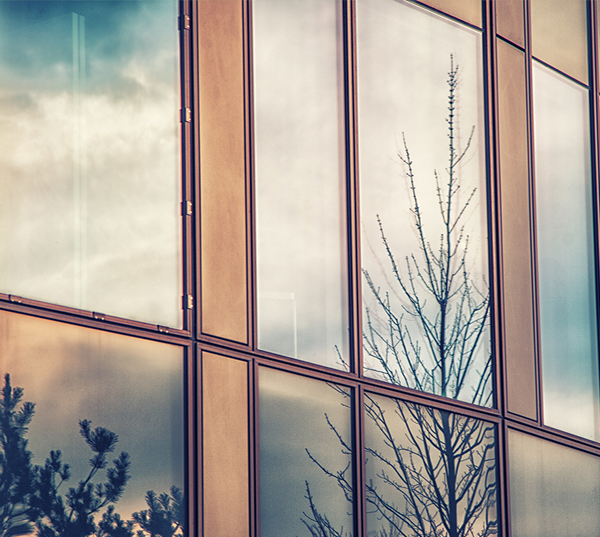 It’s said that windows are the soul of a building. Windows open up your home to the outdoors and let in natural light and beauty. They are part of what connects us to the outside world. 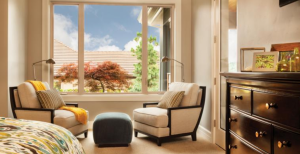 And when it comes to choosing a style for replacement windows for your Denver home, there is no choice more elegant and striking than bay windows. Bay windows are available in many different styles. They can be made of wood, vinyl, or fiberglass, can be tall in height or short, and can be produced in a variety of frame colors and cladding options. With so many choices to choose from, it can sometimes feel difficult to select the right bay windows. After all, windows are one of the most important architectural features of your home and you want to make sure that you pick the right ones. That’s why we asked our team of expert designers what their favorite bay windows are. Of course, they referred us to Pinterest, the ultimate home design resource. So without further ado, here are our 10 favorite bay windows on Pinterest and why we love them. 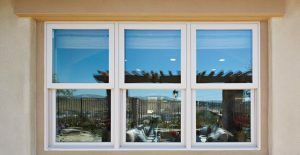 Having trouble selecting the right windows for your home? These beautiful bay windows should give you some inspiration! Here are our top ten favorites. These vinyl bay windows do an excellent job at showcasing the beautiful outdoor landscaping of this home. The white interior and window framing creates a beautiful contrast with the colors of the trees and sky. These large windows create dramatic flare by drawing attention to the high ceiling of this home. 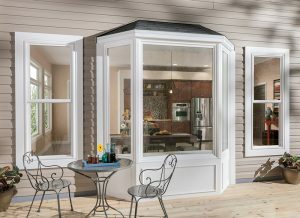 If you have an area of your home that you wish was larger, bay windows can be an excellent choice for creating additional room. 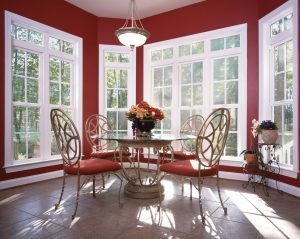 These bay windows extend the room and provide more space for the table and dining area. 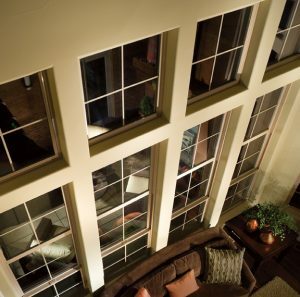 These vinyl windows by Milgard remind us of how beautiful simplicity can truly be. A clean white frame is a natural looking choice for this beige exterior home. 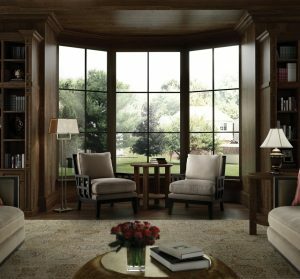 Adding bay windows to your living room can be a great way to create a sitting area for reading or lounging. These windows add an air of sophistication and elegance while also letting in much needed natural light. If you have a multi story home, adding bay windows to an upstairs room can be a great way to enhance the exterior appearance of your home. They’re also a unique and stylish choice for a guest room or loft area. The window frame of these Alside bay windows makes a charming addition to this cottage style home in the country. The custom glass design in the center also draws attention to what might otherwise be an overlooked architectural feature. There are few things that invoke the same joy as seeing a bright, shining kitchen.These bay windows are accented by two double hung windows on either side to create an open feeling for the kitchen area of this home while letting in extra light. 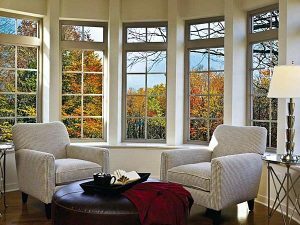 While bay windows can be created in a variety of styles, the most traditional design is a large picture window that’s accented by two smaller windows on either side. The picture window draws attention to the outdoors while the two accompanying windows work more functionally by providing ventilation. 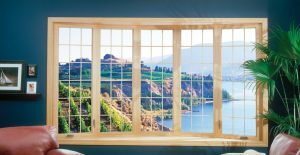 If you live in the mountains area or the foothills, you may want to consider adding a bay window to your home just for aesthetic reasons. These wood bay windows from Alside make an exceptional addition to this mountain area home by showing off the beautiful scenic view. 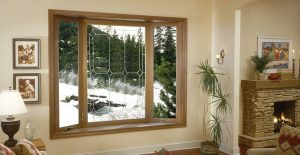 Speak to a professional designer about new windows for your Denver home today. 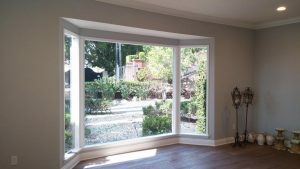 Call Colorado Window Company to receive an estimate on bay windows for your Denver home or schedule a free consultation.